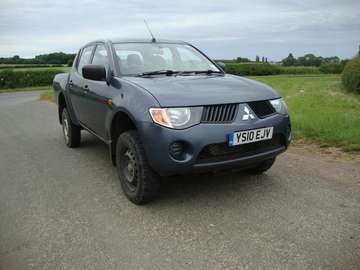 JUNE 2010 MITSUBISHI L200 2.5Did 4 Work DOUBLECAB 1 OWNERS, GREY, 76,950 MILES, Radio/Cd, Twin Airbags. Steel Wheels with 205/80R16 Tyres, Load Liner,Towbar. SERVICE HISTORY.